Sacred Architecture 'to scan or not to scan, that is the question'? There are still certain aspects of shooting film that I miss, I think! Could it have been the anticipation of a shoot as I took the rolls of film out of the fridge and packed them carefully in the bag? Or was it the lovely peppermint flavour on the tongue as I licked the wrapping band on another completed roll of Agfa's 120 roll film? I think probably neither, but I do have a lot of images that were shot on film 'back in the day', and very rarely do they see the light of day. 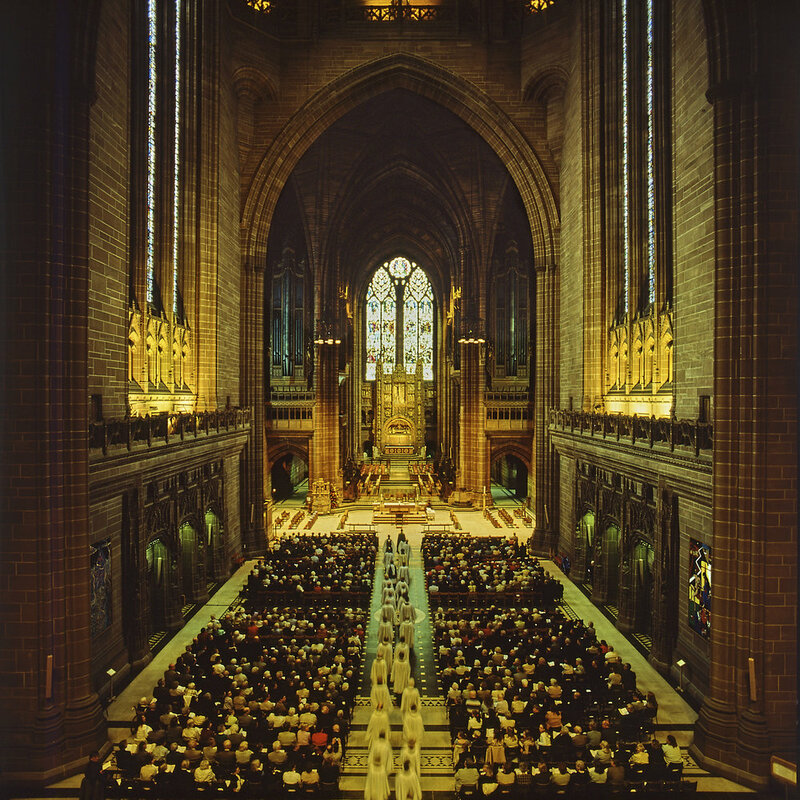 In 2003 I was commissioned by Bluecoat Press, Liverpool, to shoot all the contemporary photography for a book about Liverpool Cathedral, at the time digital photography wasn't up to the job and looking back now as a Phase One user I think this was the right decision. After editing I submitted about six hundred transparency's for consideration, the selected transparency's were sent for scanning and then returned to me and have been sat in a 'Secol' archival box ever since. Earlier this year I was contacted by Craig Hamilton Architects to use images from the book to accompany an article in the American publication 'Sacred Architecture Journal'. Like the rest of us I've got use to the convenience of our digital world, the original scans were never given to me so I contacted the publisher, 'no problem' came the reply, ‘we'll send you all of the scans' unfortunately only three of the six images were in their archive, I had to scan the other three and this led me to notice some deterioration on the transparencies. Now I've discovered that the publishing house doesn't hold a copy of the transparencies and I’ve seen the start of some deterioration I need to treat this as a wake up call for the several thousand unscanned transparencies I have and think about my own archive. The question now is how to get the best out of them? still it’s nice to see the images in print again. Sacred Architecture Journal, a publication of the Institute for Sacred Architecture, is dedicated to a renewal of beauty in contemporary church design. Through its scholarly articles on architectural history, principles of design, and contemporary buildings, the Journal seeks to inspire and inform. Josephine Butler - Liverpool to Kirknewton and then Wigan! Oct 25, 2018 Ladders, Long Brushes, Long Lenses and Henry Holiday. A month in St Chad's, Kirkby. 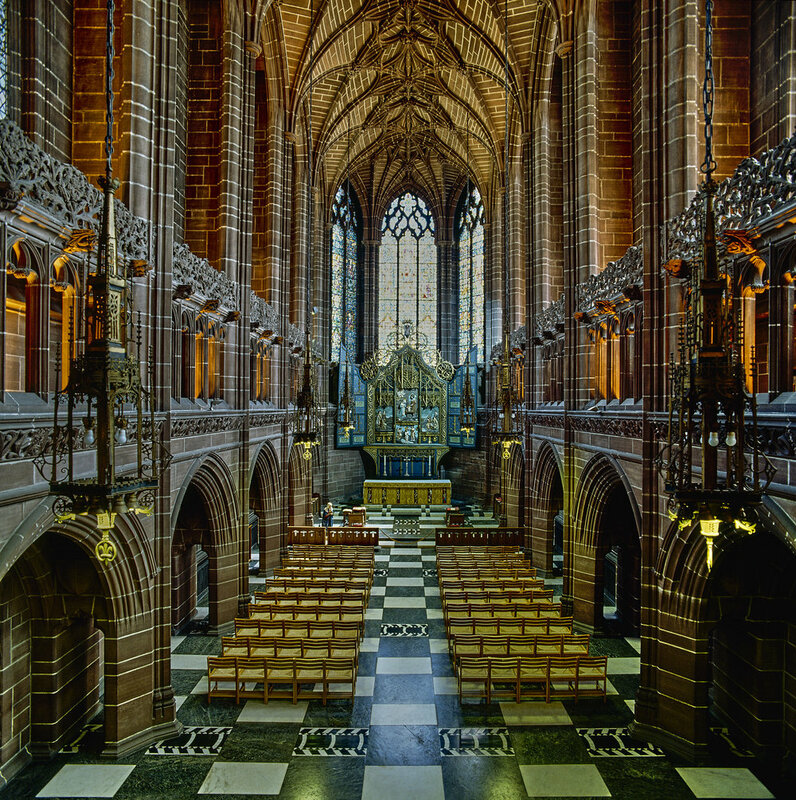 Aug 16, 2018 Sacred Architecture 'to scan or not to scan, that is the question'? Mar 3, 2013 I wish I was a gambling man! Nov 2, 2012 Josephine Butler - Liverpool to Kirknewton and then Wigan!